Chinese mobile payments giant Alipay can now be used in more UK stores after a new partnership with Barclaycard was announced. AliPay is currently accepted in some UK shops, restaurants and hotels but Barclaycard says it will now offer software that will enable retailers to update their existing point-of-sale systems to support Alipay – rather than needing additional tools to allow payments via the Chinese firm’s app. 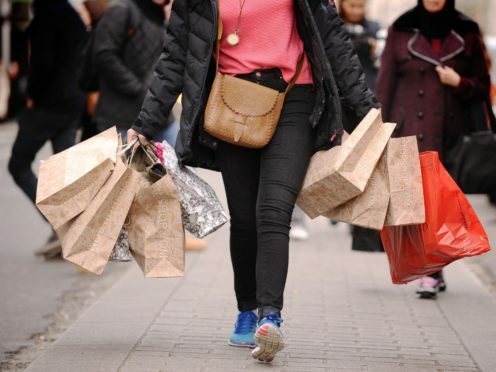 Barclaycard, which processes nearly half of the UK’s credit and debit card transactions, said Chinese tourists were a key market for retailers, with visitors from the country expected to spend £1 billion this year. The payment firm’s global head of payment acceptance Rob Cameron said: “Thanks to the significant investments we’ve made in our platform, our clients have access to a growing range of payment types, each of which can help them increase market share by meeting the needs of new customers. “Our new agreement with Alipay gives retailers a vital tool to help them seize the revenue opportunity posed by the growth of Chinese visitors to the UK. The payment firm said it was keen to take advantage of a growing appetite among Chinese tourists to use mobile over cash. It cited 2018 research from Nielsen that suggested 93% of Chinese tourists said they were more likely to spend in a store that accepted mobile payment. Alipay – part of the Chinese e-commerce giant Alibaba – is one of the most popular apps in China, with more than 700 million users. It featured in the top 10 most downloaded apps in 2018 on both iOS and Android according to industry analyst firm App Annie. The firm’s boss in Europe, the Middle East and Africa, Roland Palmer, said: “Alipay is excited to announce that it will be working with Barclaycard to provide visitors from China with the mobile payment experience that they are already familiar with. “Through this strategic partnership, Alipay will now be able to offer many more UK merchants the opportunity to connect and engage with a growing number of Chinese visitors.